With over a dozen of RIBA Awards win in the past one decade, DSDHA’s reputation in the world of architecture is renowned worldwide. 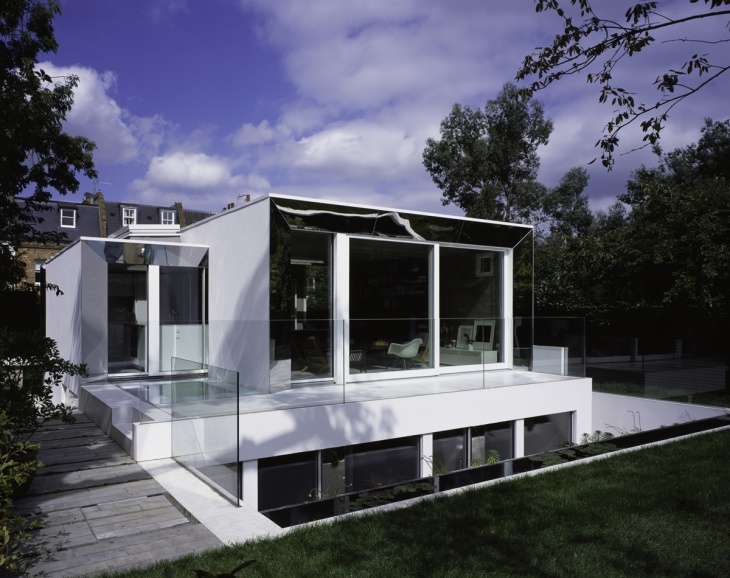 Deborah Saunt and David Hills are the co-founders of the London based architectural firm. 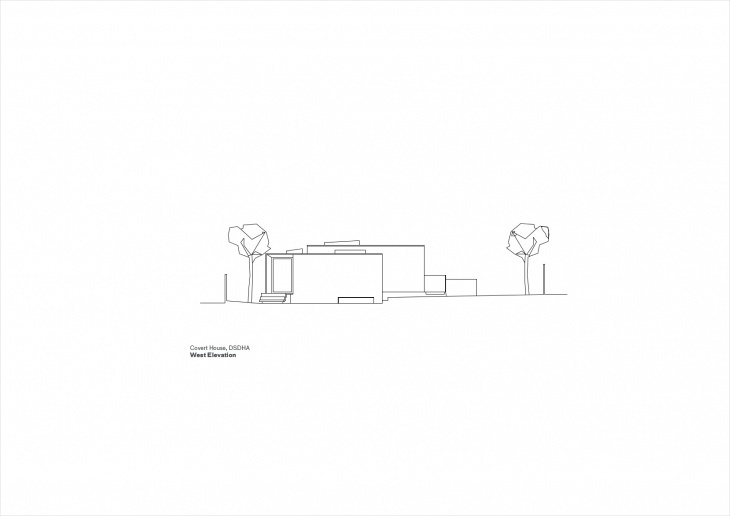 The firm has been nominated twice for the European Union Mies Van Der Rohe Prize for Contemporary Architecture. Apart from being an architect – designer, Deborah is actively involved as a writer, broadcaster and a lecturer in the field of architecture internationally. 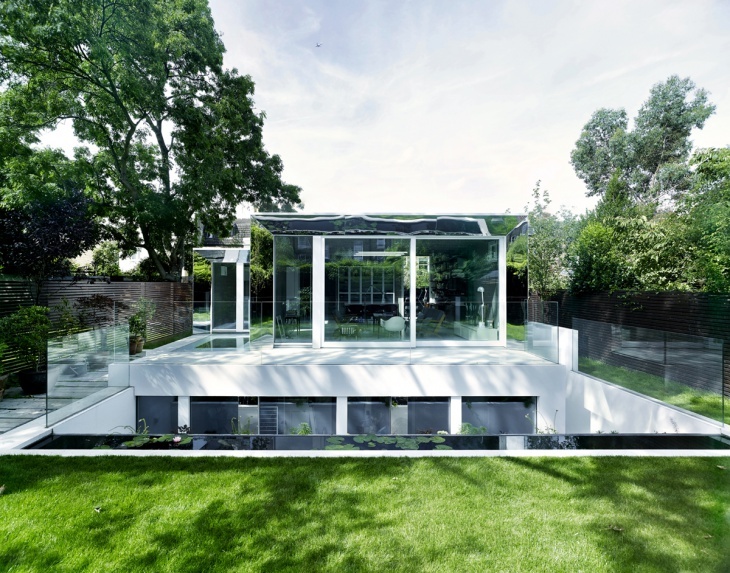 The suave architect – designer Deborah Saunt speaks about the “Covert House” Project to Johnny D of Design Trends, about their recent win at the RIBA Awards. Johnny D: Please tell our esteemed readers about DSDHA. Deborah Saunt: DSDHA Studio is founded on the persistent search for new forms of beauty through active design, research and agency within an ethos that “the city is our client.” Our award-winning projects span from highly acclaimed individual buildings, which celebrate materiality and the art of making, such as Alex Monroe Studio, through to macro-scaled urban strategies, such as the redesign of Tottenham Court Road in London’s West End. DSDHA’s work has been recognized with 12 RIBA Awards in the last decade, and has twice been nominated for the European Union Mies Van Der Rohe Prize for Contemporary Architecture. David Hills and I lead the studio’s urban research, regularly writing and broadcasting on architecture, and have taught widely, currently holding positions at the Cass School of Architecture and London School of Architecture. JD: What are the current projects, the firm is busy with? DS: The studio is currently engaged in a series of public realm improvements in the Tottenham Court Road area and Broadgate, as well as, around the Albert Hall and Albert Memorial – a project that resulted from a research fellowship Deborah undertook for the Royal Commission for the Exhibition of 1851. Projects on site vary from, a two prestigious residential buildings in Pimlico around the corner from Tate Britain, a small bespoke workshop for the jeweler Alex Monroe following, which is in close proximity to the shop and studio, we designed for him in the Southwark. 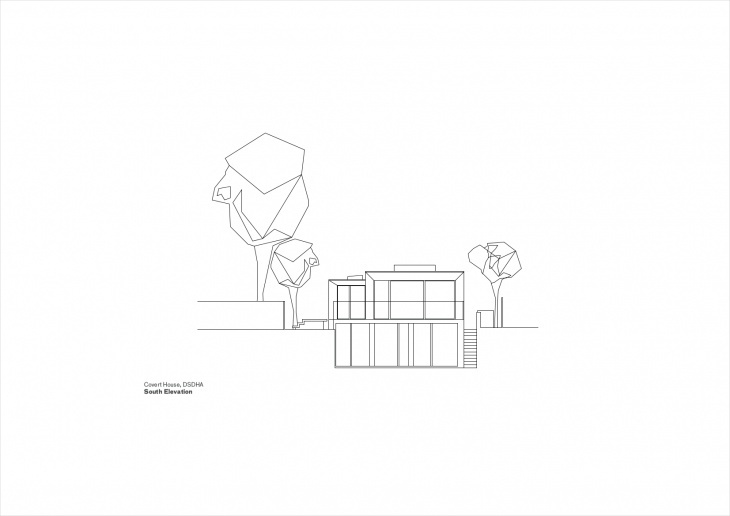 DS: The house was designed for the founding directors of DSDHA, Deborah Saunt and David Hills. We approached it as a case study project, using it to test out several hypotheses. These start with interrogating the idea of the “domestic” at the beginning of the 21st Century – such as, how do we make use of internal space more effectively – do we really need corridors in the light of new technologies, where privacy can be preserved in newer ways? How might sustainability be integrated into high-quality design without compromise, so that, all of the hidden technologies that can create conformable and environmentally sensitive systems, are not seen as an add-on or alliterative, but an integral part of contemporary residential design. Conversely, at a strategic urban scale, it asks how London might provide new housing within its fiercely defended low–density backlands, close to the historic centre, whilst preserving neighbourly amenity. Materially, we were testing our own commitment to craft, though at the time we did not perhaps realized this so explicitly, as when the project was completed. 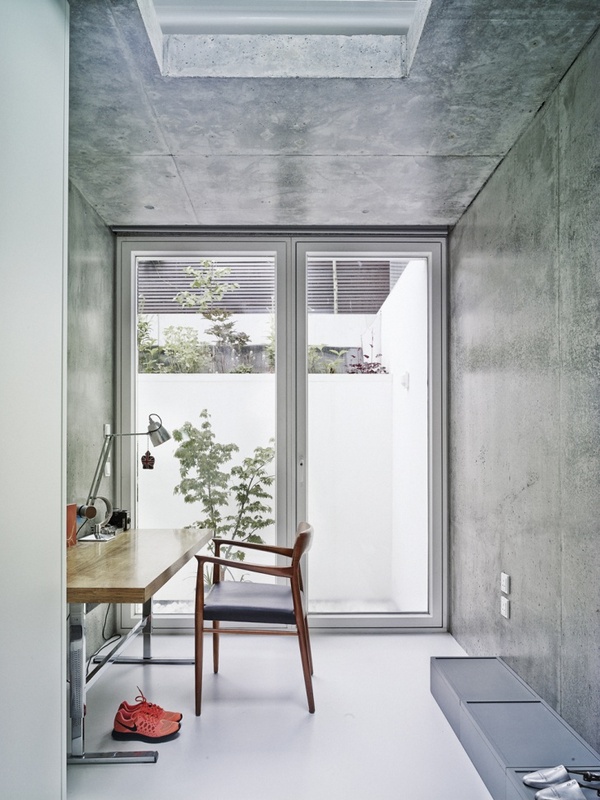 The cast structure of this “concrete cottage” creates a modest family home, designed with a few simple rules; to use the most sustainable design principles possible, whilst deploying a limited material palette, yet creating a sense of domesticity within a concrete armature that does not disturb its sensitive setting. Artist Chillida’s carved forms echoes the clarity of architecture. Craft and specificity’s engagement is established when off-site construction and standardization are being promoted these days. 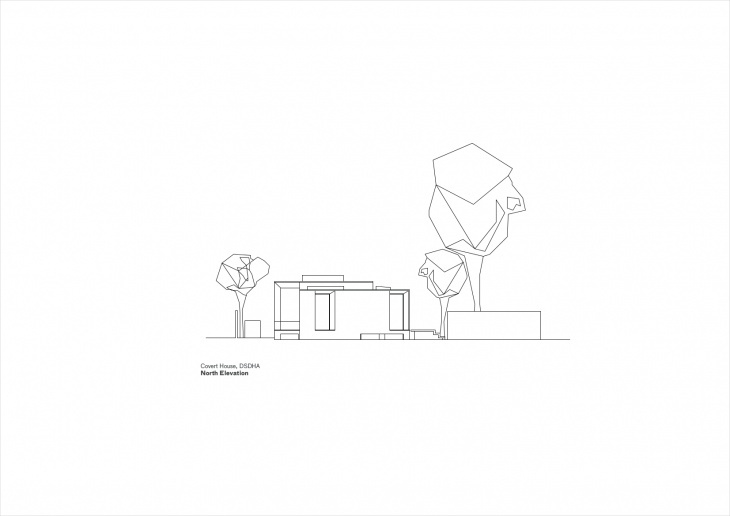 The project has insistently combined the everyday needs to represent new forms of beauty. 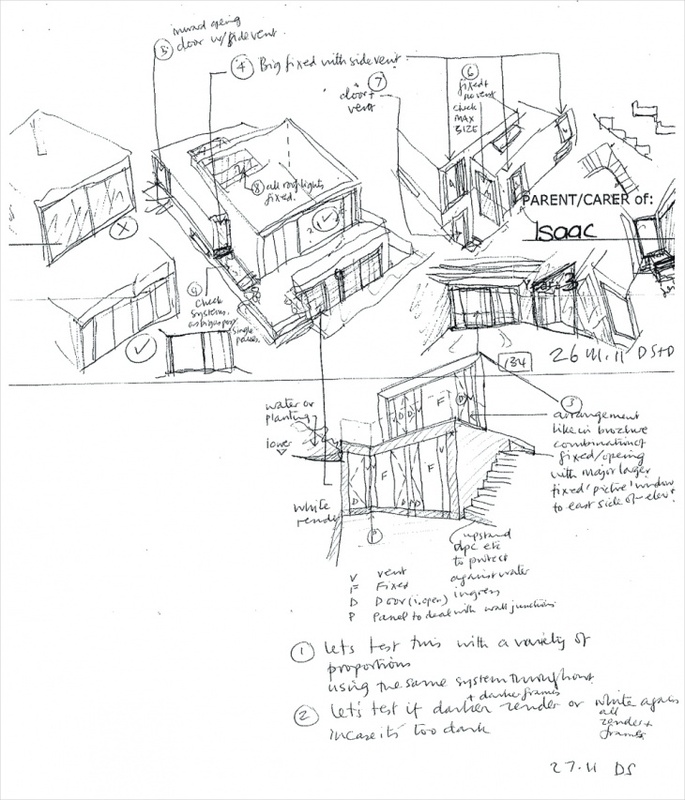 JD: What were the major challenges faced by your team while designing the “Covert House” project? How did you overcome them creatively? Please elaborate. DS: From a planning perspective, being in a Conservation Area in London, brings huge constraints. In order to enable a project to proceed, a designer has to prove that the development doesn’t harm the area’s character and it meets all the criteria set by the planning policies. 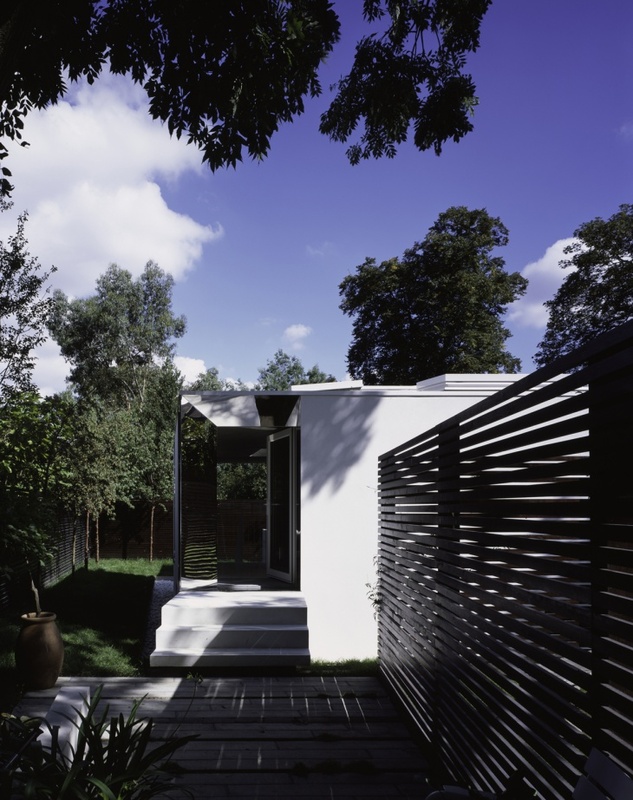 In the case of Covert House, the latter were very strict, as among the other things, we were limited to a single-storey height, which is why we decided to partially lower the structure within its garden plot. 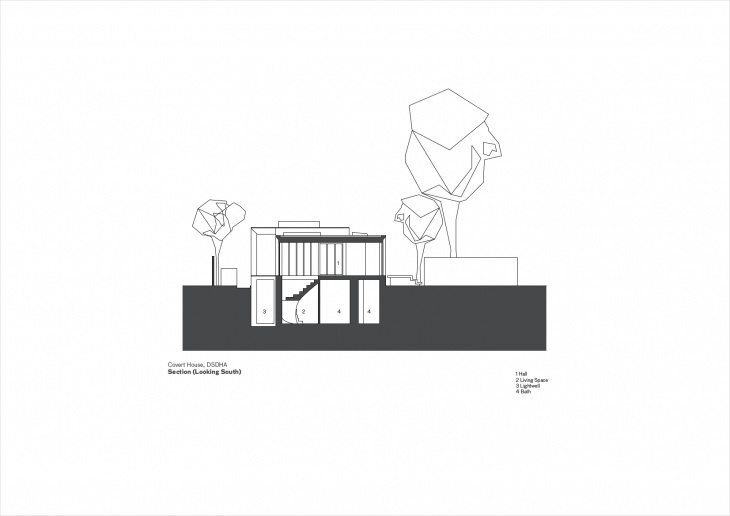 The house, therefore, follows some very strict rules, in terms of not encroaching on the quality of existing gardens. : it has a stepped roof line in section, so it is lower and close to garden boundaries, from which it sits back clear from, on all sides, and by never going above the height limits established in conversation with the planning department. These heights broadly equated to the maximum height of existing domestic sheds and summerhouses in the local gardens of 2.5 to 3.5m. This meant that seen from any garden around our site, our new house would not generate any overlooking or would not be overbearing for those using the gardens. Another challenge was that of working with concrete: this is a beautiful material in the eyes of architects, yet often considered harsh and rather inhuman by the general public. As such, we were keen to see if we could literally live with concrete and still enjoy it to maybe set a new example. So, the challenge for us was to overcome these preconceptions and meet them head on. So far, everyone who have visited the house seems to be impressed at how domestic the house feels despite its rigour. 1) Windows, lightwells and Courtyards as elements connecting the interiors to nature. 2) We have really gone to great lengths to make sure that the lower floor rooms all have full-height windows, connecting to the outside courtyard spaces with planting. These are warm microclimates in their own rights, away from wind and capturing sunlight all day. 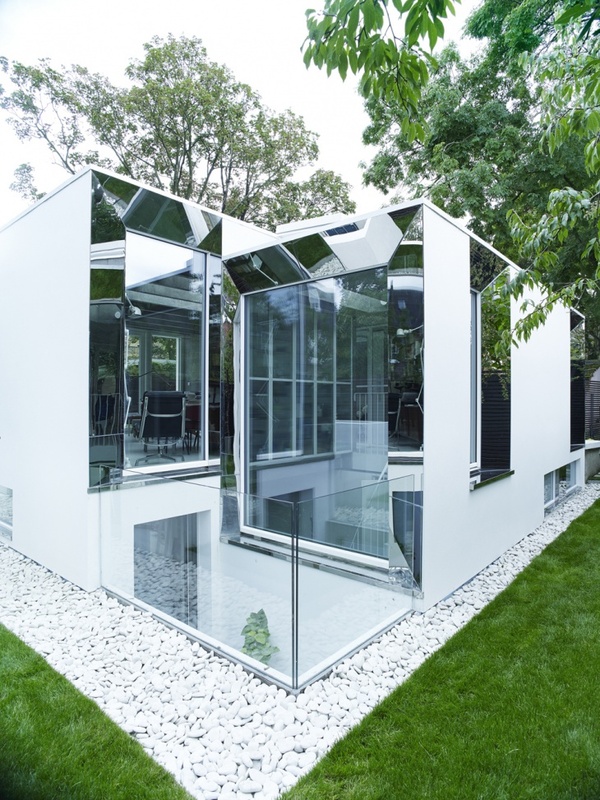 3) On both the floors, lightwells and courtyards carve out a sequence of perspectival openings onto the garden, while the chamfered mirror reveals to the full-height windows to dissolve the bulk of the walls and camouflage the house within its verdant surrounding. Whichever room you are in, you always feel connected with the outside. This obviates the sense, that we were worried might be present, of feeling buried at lower levels on the ground. 4) White concrete stair connecting the two floors. 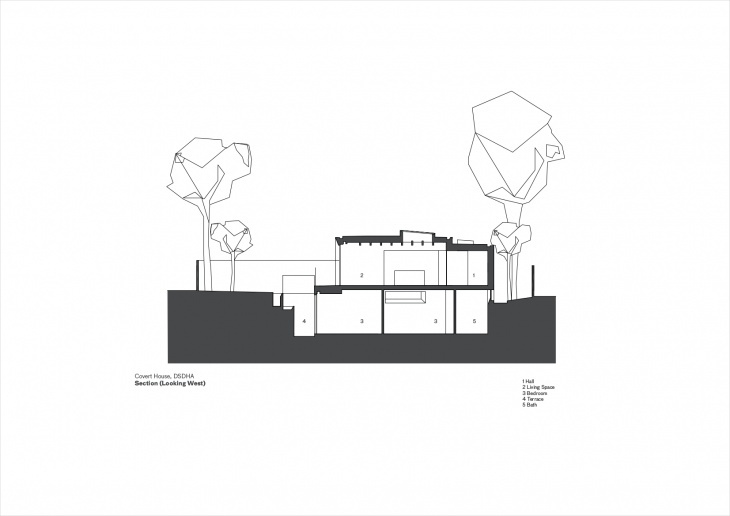 Covert House has been designed carefully to allow several functions to overlap without compromising comfort. DS: In our work, we like to question preconceptions and the meaning of elegance, is one of them. 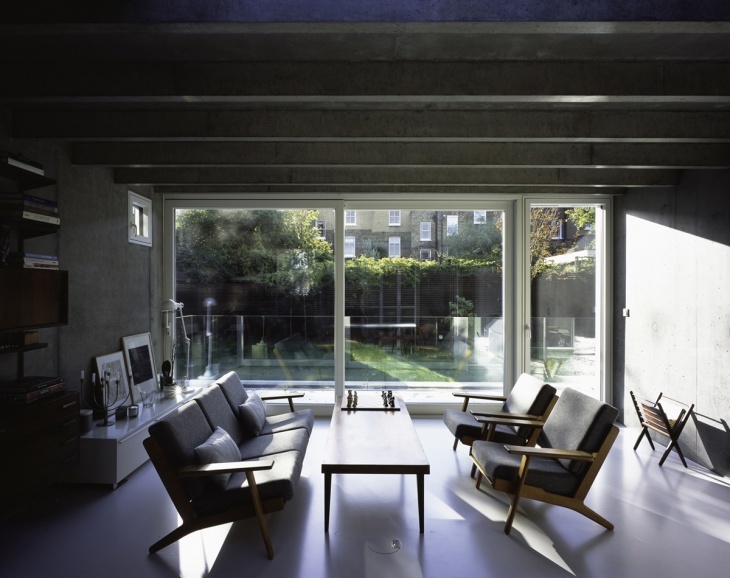 In Covert House, for instance, we made the unusual choice of leaving the primary structure exposed throughout, and for this reason the raw concrete’s texture – a material, which is usually associated with a somewhat rough and utilitarian character – had to become an enjoyable element of our domestic environment. It had to be elegant, but by this we did not mean ‘overly finished / refined’. It was a different quality we were after. We specifically worked with our concrete contractor, Anthony Thresh from White Rock Engineering, to develop a language of concrete allowing for its imperfections and inherent nature not to be completely erased. We wanted the material and the process of making, to speak for themselves. After several tests, we agreed to “let the material be”. This was a precise aesthetic choice, which gives a kind of liquid quality to the wall finishes and the ceilings and paradoxically a homely feeling to the place. People approach walls and stroke them in an involuntary manner, engaging with the proximity of the material. They seem to like the imperfections in particular: the air holes and visible areas of aggregate, whilst children have even observed that the patterning on the soffits are like cloudscapes. 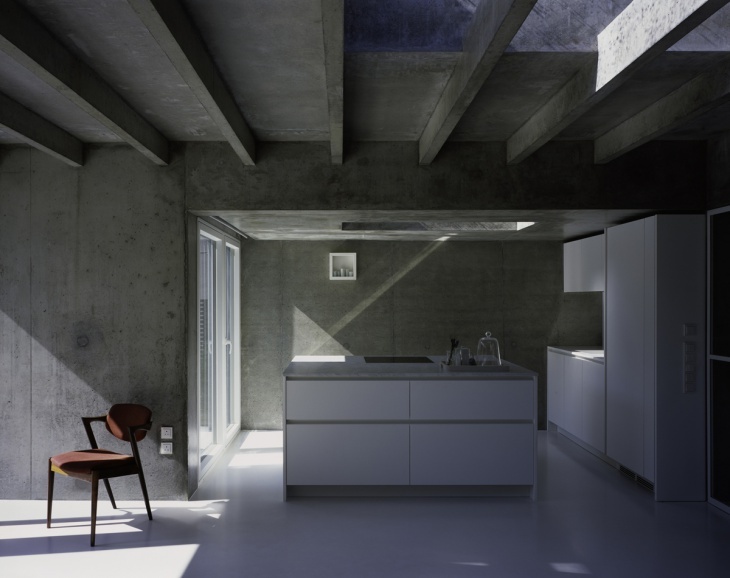 Similarly, in planning the interior, the effort has not been so much that of “softening” the feel of the concrete, but rather to “visually edit” its elements ­ mid-century modern furniture and pieces we have designed, bespoke concealed lighting or artworks ­ in order to avoid anything, which might clutter the space and overshadow the predominant feature of this project, i.e. the home’s relationship with nature and the light within it. 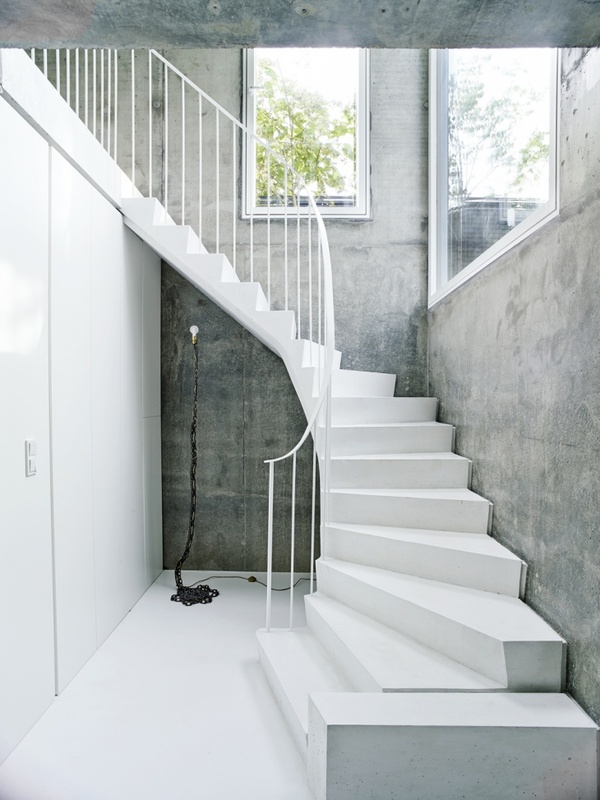 Only a few transitional elements ­ the thresholds between interior and exterior and the staircase for instance ­ are made of white concrete: a mixture of marble sand, white cement and a colour enhancer. In this sense, we have interpreted ‘elegance’ in terms of harmonizing each of our design elements, giving them a precise hierarchy, regardless of the preciousness of the material, but rather in the light of its inherent qualities. JD: What was the time-period of the project? DS: A modest budget, based on the value of our previous small house. DS: DSDHA Studio does not have a signature style. Perhaps the distinctive character of our buildings is that they are ‘madly conversational’, chatting to everything around them, past and present, people’s memories, as well as, their technological devices. JD: How much credit is attributed to the conscientious efforts of the civil engineer in this project? 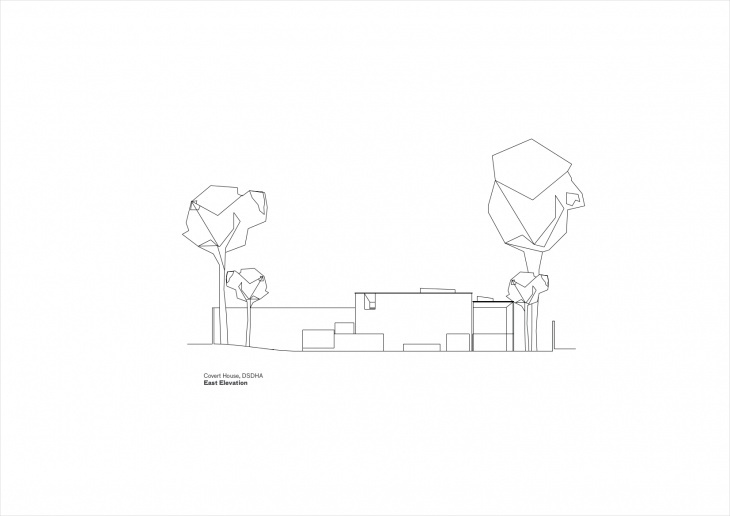 DS: From a technical point of view the difficulties were many: given the position of the plot ­ behind a row of Victorian houses, in a back-land site that can only be accessed via a narrow and relatively low passageway ­ one of the main challenges was that of gaining access to the site. Moreover, as we had to excavate five metres into the ground, we needed large digging equipment. We had to outsource a particular brand of machines produced in Japan ­ the only ones narrow enough to make it through our passageway, after their door handles were removed. Another problem was that the cellars of a neighbouring house existed underneath our alleyway. We couldn¹t risk passing over them with our heavy equipment, therefore, we had to build a temporary bridge to get safely from the street to the site. To ease the removal of the large amount of soil we had to excavate, we decided to fabricate a bespoke site skip and a storage unit for the construction material that we strategically placed at the edge of our driveway, rather than on the public street, so avoiding disruptive parking suspensions. The splayed windows on the lower floor also constituted a major challenge: their formwork was made in a joinery shop and incorporated with air vents to release the excess air while pouring. As the dimensions of the site were rather modest, we aimed at increasing the living space by keeping the structure to a minimum. To this end, we employed a system of King Piles. Our Concrete specialist Anthony Thresh of White Rock Engineering, set-up the timber formwork between them and placed the waterproofing membrane and insulation against this built-up. Thereby making it act as a back shutter, against which, the concrete was cast. In this way, he could avoid the use of huge tubular piles and a drained cavity below ground level. Given our height restrictions, our aim was to minimize the roof slab as much as possible, as such we decided to complement it with ribbed beams, which incorporated ‘drapped’ and standard fixed reinforcing. When pouring, Antony gave the beams a very slight curvature, so that the soffit came out completely levelled. The self-compacting concrete we employed, confronted us with a series of difficulties, particularly in the soffits, where we had to create several changes of levels. It is generally much easier to cast the concrete with a tower crane and in large volumes. However, Anthony was required to produce extremely slender slabs, columns (75mm wide) and walls (100mm thick), which obliged us to only pour a relatively low volume of concrete each time. DS: Heavy structure and partial basement excavation for thermal stability. Recycled PFA (Pulverised Fuel Ash) content to concrete. Rainwater harvesting for wc flushing and garden irrigation. DSDHA worked with Max Fordham on the environmental strategy to exceed Code 4. As a result, the house is designed almost to Passivhaus standards and needs very little heating. JD: What is the feeling of winning awards one-after-another with your firm’s design creations and reputation? DS: It is great, particularly for the team, you get external reassurance that you are doing something right.